If you’re like me, you probably have great intentions to make healthier choices. You may plan to hit the gym at least three times a week (you even bought the clothes for it!) and eat a nutrient-rich diet, but sometimes it feels like the demands of everyday life get in the way of accomplishing those objectives. Perhaps you have to stay late at work to finish a project and you don’t have time to fit in a workout, or you’re so rushed in the morning that you have to skip breakfast, making you more likely to succumb to vending machine treats later in the day. Unfortunately, you can only use the excuse of “life” for so long. Extra work, traffic jams, or even a new show to binge watch on Netflix will always be there to get us off track. At Modernize, we believe that if good health is a priority for you, you have to plan for it. One of the best ways to prevent yourself from getting side-tracked from a healthy lifestyle is to start your day with self-care. Before you’ve checked your e-mail or the phone has started to ring, take the time to do the things that are essential to your overall well-being. Taking care of yourself will set the tone for the rest of your day, making you more equipped to face challenges with focus, a calm demeanor, and a sense of optimism. 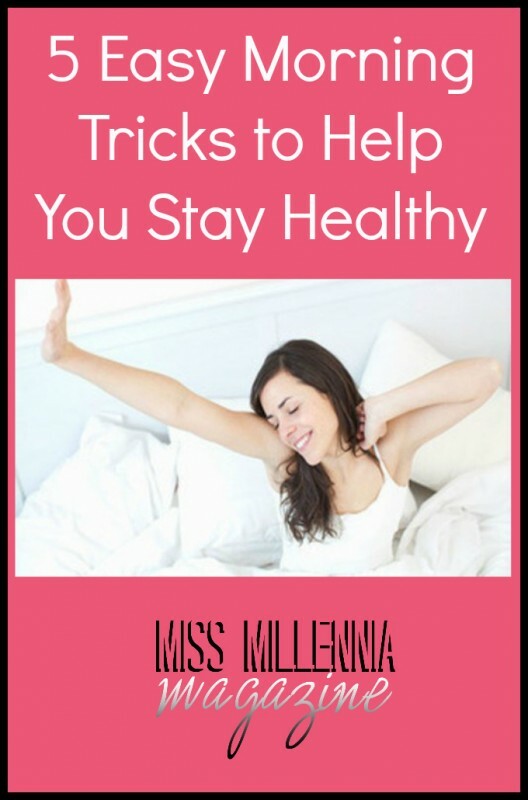 Read on for simple tricks to incorporate into your morning routine for optimal health. Sure, the temptation to hit that snooze button is great, but does it ever really make you feel more rested? 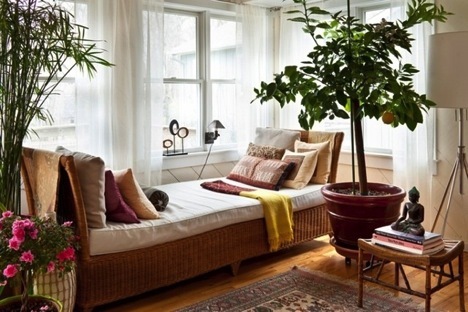 Going back to sleep for just a few minutes at a time can leave you feeling very tired and disoriented. The next time your alarm clock goes off, go straight to your meditation space. Daily meditation provides you with the opportunity to quiet your mind amidst all of the stressors in your life—work, family, and an ever-growing to-do list. It allows you to have more focus and control over your emotions, making you less prone to depression and anxiety throughout the day. 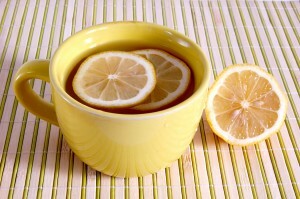 Skip the morning coffee and have a cup of warm lemon water instead. Lemon is rich in Vitamin C, calcium, potassium, and pectin fiber. Keep the peel on lemon slices to maximize fiber. Warm lemon water serves as a natural digestive aid, helping the body eliminate waste easier. Starting your day off with warm lemon water can help boost your immune system, support weight loss, balance pH levels in your body, prevent the formation of acne and wrinkles, soothe an upset stomach, and reduce pain and inflammation in your joints as it dissolved uric acid. Eating breakfast gives you the energy to start a new day. Your body has been without food for at least eight hours while you were sleeping and needs the energy to function well. While many people skimp on breakfast as a way to cut calories, eating a healthy breakfast is actually very important to losing weight and to maintaining a healthy weight. 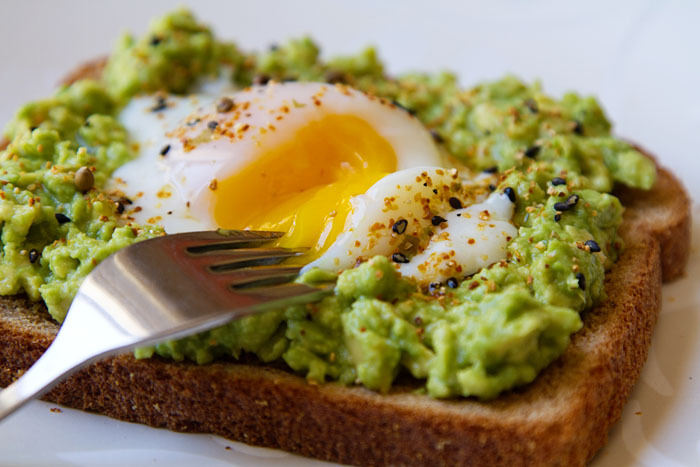 A breakfast that is rich in protein and whole grains can help reduce hunger throughout the day. Consider having a veggie omelette with some whole-wheat toast or Greek yogurt with fruit and almonds. Any exercise that you can fit into the morning is going to positively impact your health. Starting your day off with physical activity can also influence you to make better food choices throughout the day. It gives your metabolism a great boost first thing in the morning, which can help you lose weight. Additionally, your energy levels will be higher throughout the day and your stress levels will be lower—even when you have to work late! When do you tend to make poor food choices? When you’re very hungry! 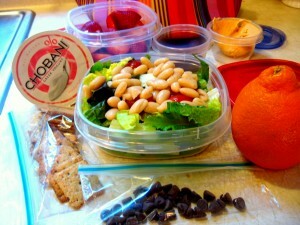 Keep hunger at bay by preparing your lunch in the morning before the chaos of the day begins. Fill an insulated lunch bag full of healthy and delicious snacks like Greek yogurt, fruit, and multi-grain crackers and hummus. Include a healthy lunch that is at least ¼ protein to help keep your energy up throughout the day. Not only will you set yourself up to be more healthy by being deliberate about including nutrient-rich food in your diet (instead of a frenzied last minute run to a drive-through), but you’ll also save a lot of money throughout the week. Use those savings to treat yourself to more healthy habits, like organic produce, cooking classes or a new bicycle to exercise outdoors.